The Zimbabwean government is struggling to deal with a worsening unemployment crisis as companies collapse or are forced to make redundancies. Officials in the country have tried to stop the trend by passing laws preventing organisations from laying off workers and forcing them to give workers severance pay, but economists warn the number of jobless will continue going up as the economy worsens. 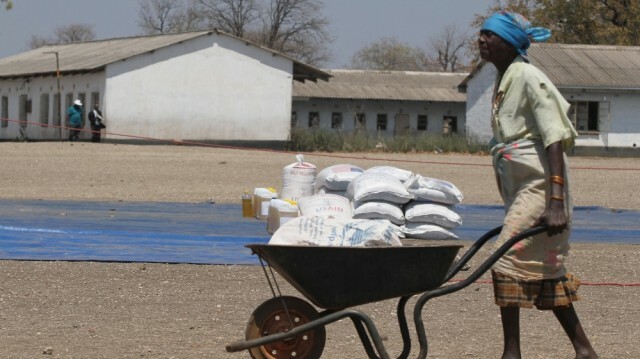 The current rate of unemployment in the country stands at 80 percent and worsening environmental conditions, such as an anticipated drought, will hit the country’s finances harder. “We are anticipating a serious drought which might affect electricity production through next year as well as crop production…we don’t have the money to pay for the food we now need to import,” said economist John Robertson. Business owners Al Jazeera spoke to said they felt they had few options other than cutting back on jobs. Many are operating at less than half their capacity and employers say they have to lay off workers, insisting the only way they can survive is by cutting jobs. Lovemore Madhuku, a lawyer representing workers, said the issue of unemployment posed a threat to the country’s fragile political order. “In 2008 we had an election that was influenced largely by the economic framework…the government of President [Robert] Mugabe found it very difficult to survive in that election. Zimbabwe’s economic crisis is worsening and has taken a toll on employment rates and government expenditure. The post Zimbabwe fails to curb escalating unemployment crisis appeared first on African Media Agency.